Dylan, a friend and supporter of Jeff, speaks about the politicization of his apprehension and sentencing, the need for prisoner support, and other related issues in the current climate of fear of 'ecoterrorism'. Jeff Luers was sentenced 6 years ago for burning three SUVs, which got him 22 years and 8 months in prison. The same judge, one week prior, sentenced a man guilty of molesting a child to 5 years. 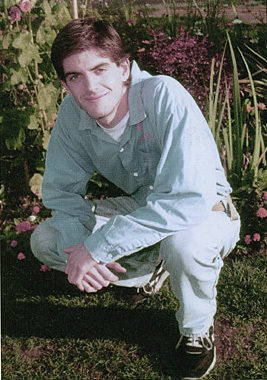 Jeff has continued to write as much as he can while in prison, producing a zine with fellow political prisoner Rob 'Los Ricos' Thaxton. You can learn much more about Jeff from his support site, which has information about him and his case, writings of his, and ways you can purchase his zine.